If you have a family history of cancer, you may have heard of the term "previvor." If you have a genetic predisposition to cancer and haven't heard the term, you may find it helps describe what's hard to define, and find support. Let's take a look at the definition of previvor, the treatment options that are available, the special emotions and fear that can accompany the findings, and what support is available. The term "previvor" was coined by the organization FORCE and refers surviving a predisposition to cancer. 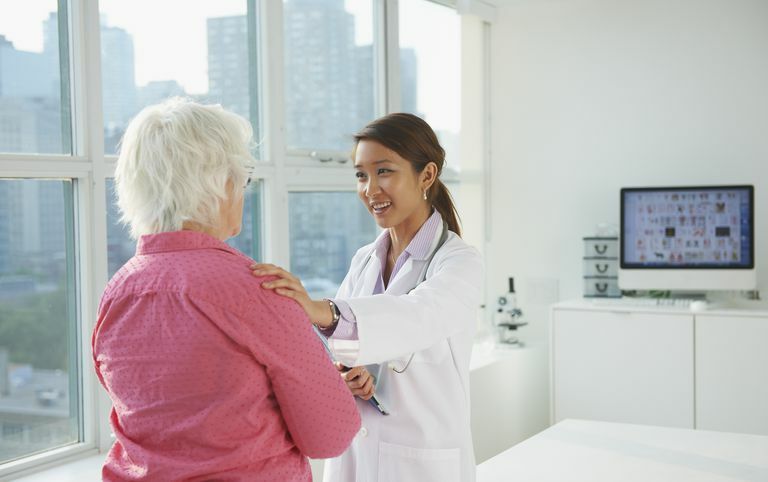 With some cancers, there are preventive measures that can be taken to lower risk, but unlike for those who have been diagnosed with cancer, there is less information on how to begin. What do you need to know to be empowered as a previvor or to learn if you are a previvor? With some cancers, there are screening tests that can aid in early detection. With others, there may be surgeries or medications which can reduce the risk that you will develop cancer in the first place. For example, if someone has, for example, a BRCA1 gene mutation with an elevated risk of developing breast or ovarian cancer, you may begin early screening with mammograms or breast MRIs. Those at risk of hereditary colon cancer may begin colonoscopy screenings at a young age. Preventive approaches may exist as well, as was the choice Angelina Jolie made with her prophylactic mastectomies. Those with a known genetic mutation that raises cancer risk, such as BRCA1 and BRCA2 mutations. Those who have a strong family history of cancer. Several family members with one type of cancer or people with certain combinations of cancer (such as breast cancer in some members and pancreatic in another) are of more concern than others. Having a risk factor for cancer that raises your risk, for example, having a history of inflammatory bowel disease which may raise your colon cancer risk. Most people who are "previvors" are probably unaware that the term fits. Genetic testing for cancer is only a recent phenomenon, and our awareness of cancer risk is improving every day. It's important for everyone to have an understanding of their family history and genetic blueprint and to learn about hereditary cancer and genetic testing if applicable. Since the understanding of hereditary cancer is in its infancy, there is a lot of inaccurate information out there as well. There isn't a simple blood test that can tell you what cancers you are likely to develop, nor are their solid guidelines for the majority of possible scenarios. A basic understanding of statistics is also important when you read about genetic risks to avoid unnecessary fears. For example, you may hear that having a particular gene doubles your risk of a type of cancer. Statistics like this can be misleading. If it is referring to cancer such as breast cancer, cancer that occurs in 1 in 8 women, this is an important finding. Having double the risk would give you a 1 in 4 risks of developing the disease. In contrast, if rare cancer occurs in only 1 in 100,000 people, hearing that you have double the risk could be frightening. Yet, this would only mean that your risk is now 1 in 50,000. If you've hesitated to ask your family members what conditions have run in your family, you're not alone. It can be an awkward discussion to initiate. You may want to check out some ideas on how to have a cancer family history chat. We will go into some of the options for treatment if you are a previvor, family planning considerations, and how to cope with the emotions, but it's important to first talk about why being a previvor can be such a challenge. After all, some people may make well-meant but hurtful comments, such as "at least you don't have cancer!" Those who are cancer survivors may not recognize the challenges of being a previvor, as noted in this last comment. You might think that previvors should get helpful support from who have already been diagnosed, but this is not always the case. Sadly, since there is much less support for previvors than survivors. As a previvor, you may feel isolated and alone. Being a previvor is anxiety provoking, and in some ways, this anxiety can be worse than even that of survivors. Why? If you're diagnosed with cancer you can come up with a treatment plan. You can do something. Instead, as a previvor, people face the fear of the unknown and the uncertainty of the future. Another difference is in treatment planning. Guidelines are present for most cancers, and most oncologists are familiar with these. What should you do as a previvor to reduce your risk or aid in early detection of cancer? It's not always clear. The technology used to detect a predisposition (especially genetic testing) lays far behind of the awareness that a predisposition may exist. The same can be true of treatment but is more emotionally laden. Think about a double mastectomy in a young, cancer-free woman. In one study looking at reproductive counseling in previvors, it was found that less than half of health professionals questioned were familiar with management. And, of those who were familiar, most stated that their knowledge was either low or moderate. To illustrate some of the challenges in understanding hereditary breast cancer, it's helpful to talk about what is meant by hereditary breast cancer. You've probably heard about BRCA gene mutations, but these account for a maximum of 29 percent of hereditary breast cancers. BRCA mutations are thought to be a factor in 5 to 10 percent of breast cancers. There are over 72 genetic mutations linked to breast cancer, some of which are high risk and some of which are low risk. On top of this, there are likely several we have not yet discovered. Testing is available for BRCA mutations, as well as several non-BRCA gene mutations that raise breast cancer risk, but most of the time women who develop hereditary breast cancer are unaware of their risk. This is why it is important to consider family history and not look at gene testing alone. In fact, some physicians believe that anyone who has gene testing should also see a genetic counselor. A genetic counselor may sense that a risk exists by looking at your family history even if your tests are normal. Managing your predisposition to cancer will depend on several factors, including the type of cancer, the relative risk that you could develop cancer, your age, and much more. Each person is different, and the approach can vary for individual people depending on where in life they are. If you wish to have a family, having your ovaries removed would not be a good option, but if you have completed your family and have a BRCA mutation it may. Let's look at some examples of screening (to aid in early detection) and treatments (to reduce risk) that might be considered. Mastectomies for gene mutations with a high incidence of breast cancer (BRCA1 or BRCA2). Removal of the ovaries and fallopian tubes for women with BRCA gene mutations. Earlier screening and/or MRIs for breast cancer. GYN exams and ovarian ultrasounds to detect ovarian cancer. Colonoscopy to screen for colon cancer (with some hereditary syndromes such as Lynch syndrome this may be started in late childhood). PSA and other tests for men with a BRCA mutation. (With a BRCA mutation men may not be more likely to develop prostate cancer but may develop a more aggressive prostate cancer. The 5-year survival rate for men with prostate cancer is now 99 percent, whereas the 5-year survival rate for men with a BRCA mutation is 50 percent). Regular dermatology exams with a family history of melanoma. If you've learned that you are a previvor, you are probably feeling both anxious and frustrated. Anxious because of the uncertainty and frustrated because guidelines, if they exist at all, are unclear. At the same time, you may or not feel the compassion you deserve. The comment mentioned above, "at least you don't have cancer," is spoken far too often. What we've learned with cancer survivors is that the depth of emotions felt are similar whether a person was diagnosed with an early stage very curable cancer, or has been diagnosed with an advanced or end-stage cancer. If you've been told you are a previvor it's frightening, and you need the kind of support you'd receive if you had cancer, and perhaps more. Having a definitive diagnosis, even if bad, is sometimes easier than coping with the unknown. Finding support is essential if you are a previvor. We hear a lot about how important support is for those who have been diagnosed with cancer. Support has even been linked with survival in a few studies! Those involved in cancer support groups often remark on how priceless these connections are even if they have a supportive family and friends. It is validating to talk to someone who "gets it" and truly understands what you are going through. The same is true for previvors, who may feel set apart from both those who do not have a predisposition and those who have cancer. Organizations such as FORCE (Facing Our Risk of Cancer Empowered) are out there. Facebook groups are popping up, and there are people active on other social platforms. If you wish to look on social media for support, the hashtag is #previvor. A few tips for previvors are in order, though everyone is different. Learn about your predisposition. This is one situation in which knowledge is truly power. Accept that not everyone understands the fear and uncertainty that goes with having a predisposition to cancer. Find a physician(s) who understands cancer genetics and has an interest and experience in risk reduction and early detection. Have an advocate among your family and friends who can stand up for you if you are criticized for any approach you take. Practice ways to redirect conversations in which people tell you what you should do. If you openly talk about being a previvor you may have well-meaning friends recommend everything from a diet of only carrot juice to the latest foot found in the Amazon. Keep in mind that people often have a lot of advice and opinions on how to manage cancer or a predisposition, only to change their minds if diagnosed themselves. If you've learned that you have a predisposition to cancer, you may feel anxious. It's only been in recent years that we've had genetic testing available or even known about some predispositions. This may leave you frustrated. Learning as much as you can about your predisposition and putting risks into perspective is very helpful. Finding health professionals who are interested and motivated to help you is a must, but finding the support of others similarly coping with being a previvor is priceless. Gietel-Habets, J., de Die-Smulders, C., Tjan-Heiginen, V. et al. Professionals’ Knowledge, Attitude and Referral Behaviour of Preimplantation Genetic Diagnosis for Hereditary Breast and Ovarian Cancer. Reproductive Biomedicine Online. 2018. 36(2):137-144. Leonarczyk, T., and B. Mawn. Cancer Risk Management Decision Making for BRCA+ Women. West Journal of Nursing Research. 2015. 37(1):66-84. Robson, M., Bradbury, A., Arun, B. et al. American Society of Clinical Oncology Policy Statement Update: Genetic and Genomic Testing for Cancer Susceptibility. Journal of Clinical Oncology. 33(31):3660-3667.